midstream upgrade. Originally intended to become a screened porch, the structure was elevated to all-season interior space as the larger project took form. Preserving the view are a centered square picture window bordered by tall rectangular casement windows at eye level. These and the lower casement windows open for a screened porch effect in warm months. intentional departure. Heavily bricked, the home's rear elevation needed a breath of fresh air. 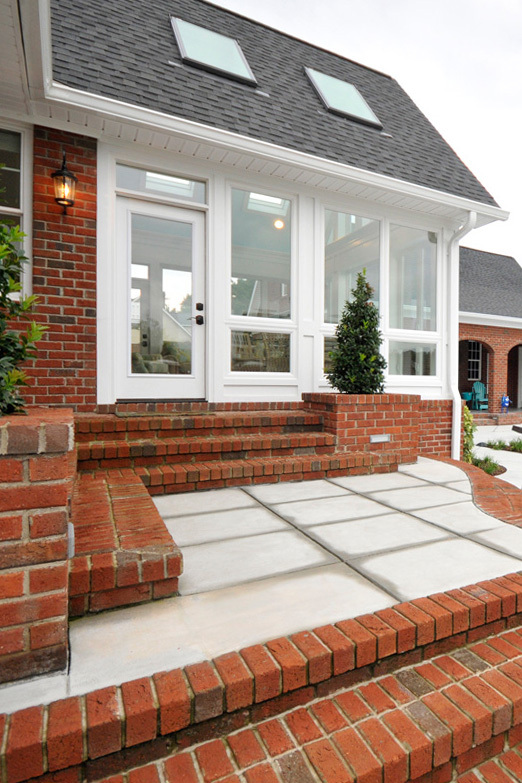 The white siding material uses multiple trim layers for a textured effect, and the gray stone floor breaks up the brick steps on either side of the porch. The great room's modified colonial and non-grilled gable windows ease the transition to the porch's unobstructed window panes. never a cloud in the ceiling. The central band of windows overlooks a pool and a pond with sky above and lake behind. 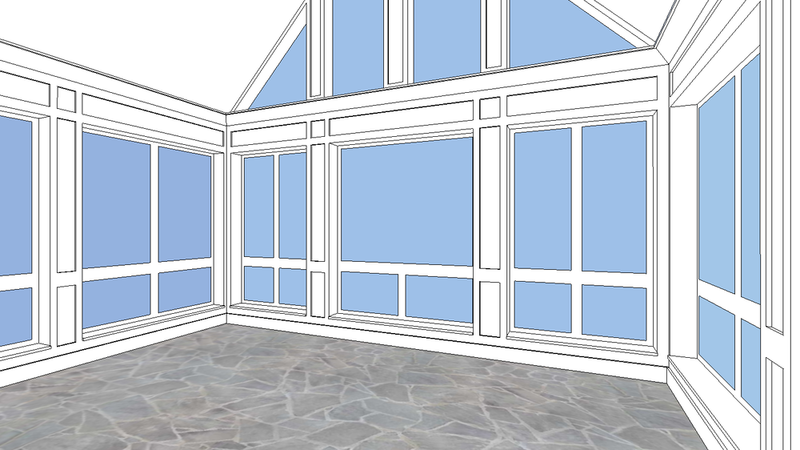 Continuing the hue upward, the porch embraces Southern porch tradition with a light blue painted wood ceiling.